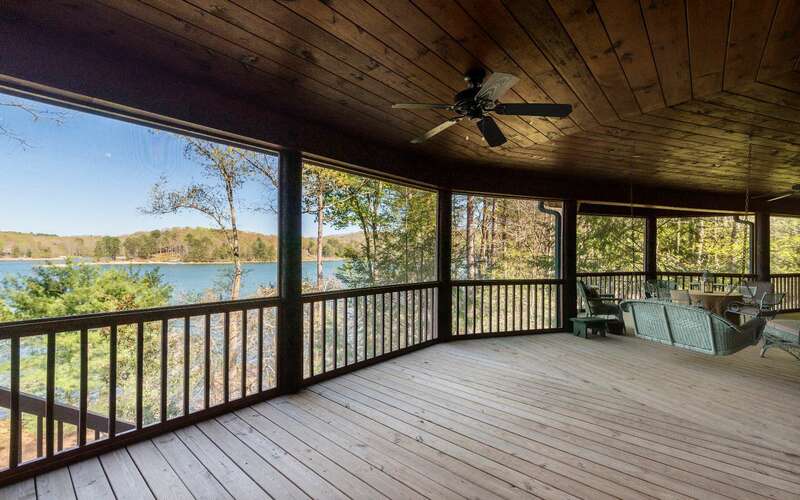 Spectacular lakefront lodge on a private peninsula acre adjacent to US forest. 3 master suites on main make home ideal for multi-family purchase. Large upper open loft w/ huge bedroom off of loft. Full, finished massive basement w/ walls of windows to take in view. Could accommodate pool table + ping pong + air hockey, living set & more; huge basement bedroom will house 5 sets of bunks! 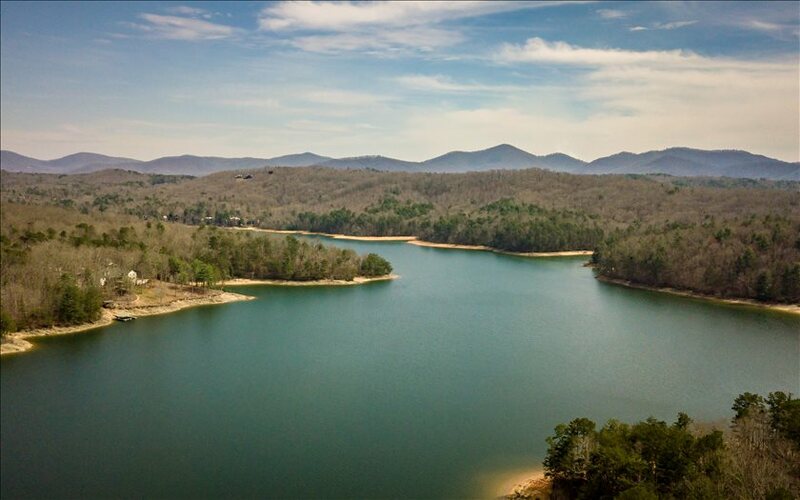 Short/flat walk to lake! Home sleeps 20+ comfortably! 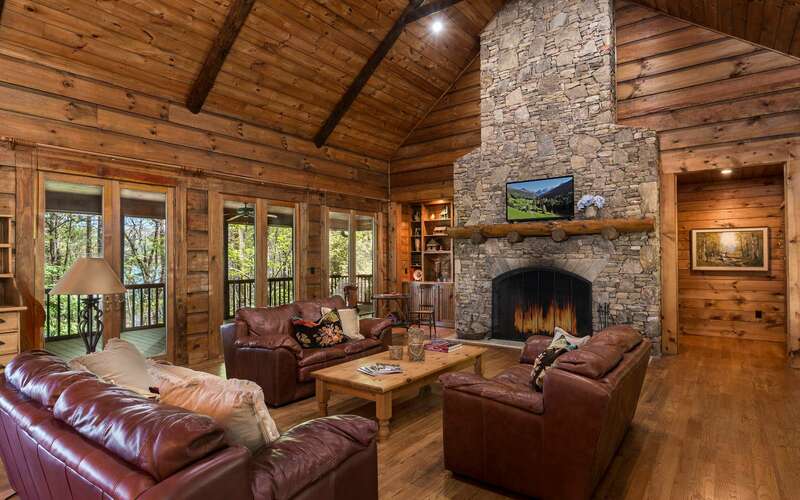 Awe-inspiring great room w/ soaring ceilings & huge stone fireplace; open to dining/kitchen. 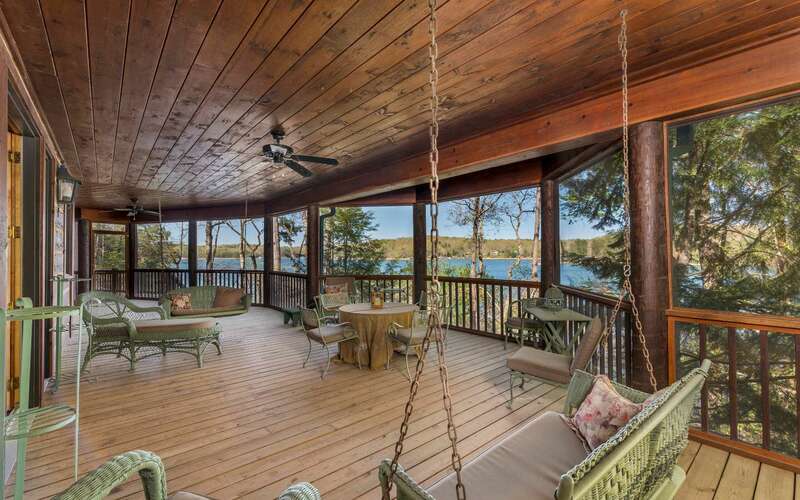 French doors to deck from every room w/ amazing lake views. Finest construction & every detail imaginable. Room for carport or garage. Furnishings negotiable. Immaculate condition.